Candidates who wanted to apply for JEE Mains examination 2019 then a get ready to apply for the exam. Yes, the National Testing Agency (NTA) has released the schedule for the examination on the official website. Those eligible and interested candidates can apply for the examination from this September. According to the official notification, JEE Mains exam from 1st September 2018. Therefore, all the candidates get ready to register yourself online for the computer-based test which will be conducted by NTA in 2019. Candidates can do the online registration till 30th September 2018. Therefore, don’t waste your time in thinking about the last date, as soon as the registration gates open for you, immediately apply for the examination. Because during the last days, the official website also might get slow due to the heavy traffic. Remember before applying for the examination, carry all your important documents with you and also all the details for doing the payment of the application. 1. Open the official website of NTA at nta.ac.in. 2. 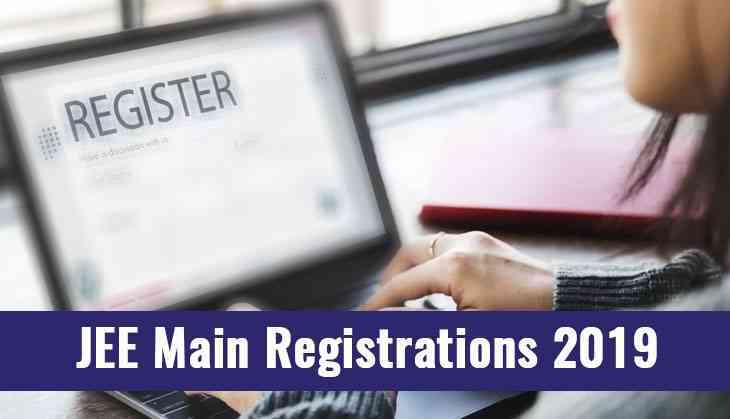 Click on the link which shows to apply for the online registration for JEE Mains exam 2019. However, JEE Main 2019 examination for January session will be held as a computer-based test from 6th January to 20 January 2019.